ORIGIN Energy doubled its sales revenues to $673.4 million during the June quarter, reaping the rewards of the ramp up of its Australia Pacific LNG site. 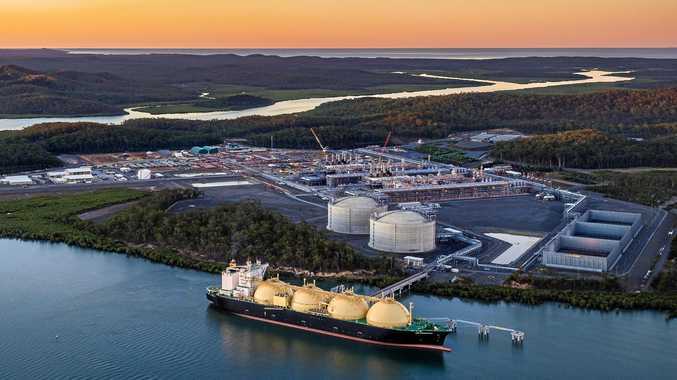 The oil and gas giant, which has a 37.5% stake in Curtis Island LNG export site APLNG, reported in its second quarter report higher LNG production. Throughout May and June APLNG ran at 10% above nameplate capacity as part of a 90-day operational phase finance lenders' test. Origin Energy chief executive Frank Calabria said the test was a "significant step" towards unlocking $US3.4 billion of shareholder guarantees for project debt by September this year. "Australia Pacific LNG continues to hit milestones and has now concluded the 90-day operational phase of the two train project finance lenders' test," Mr Calabria said. Origin Energy's second quarter report revealed the Curtis Island site generated $1.46 billion of sales for the company in the year ending June 2017, and shipped 33 LNG cargoes in the past three months. Mr Calabria said APLNG also continued to be a "major supplier" of gas to Australia's east coast, providing 20% of total annual demand.